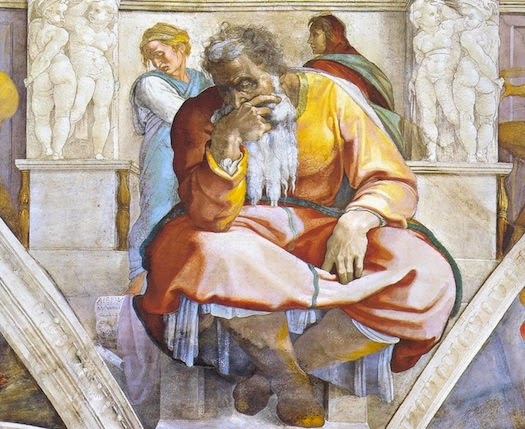 God has recently prompted me to read through the book of Jeremiah. I'll admit, I wasn't too excited about the idea. This lengthy prophetic tome is filled with blistering passages about God's wrath for the sinful nations, as well as Jeremiah's suffering at the hands of his own people. Yet as I read, I am reminded over and over again of God's faithfulness, His covenantal love for His people, and the nature of ministry. It is this latter point--the nature of ministry--that I wish to unpack here more fully. The gritty imagery is palpable. Imagine filling your stomach with bitter herbs, chewing on gravel, living in the depths of darkness, or being mangled by a roving beast. This isn't the image of the brave, heroic leader leading the charge. Jeremiah is a whimpering mess. And for good reason. He's experienced a great deal of suffering in his ministry. So he responds like any of us would respond--he's sad, angry, depressed. If there was a singular example of a ministry leader who experienced sadness, we only have to look to Christ. He was the man of sorrows, despised and rejected by men (Isaiah 53:3). He knows our grief and pain, and can empathize in our sufferings (Hebrews 4:15, 5:8). He's the one who wept so strongly in the garden of Gethsemane that blood and sweat poured from his brow. Jesus wept. So can I. His compassions are new this morning. Even if you are experiencing sadness or depression, there is genuine hope. It *will* be okay. The Lord is our portion. Wait upon him for healing and strength and grace. If you're beyond a temporary season of sadness and experiencing ongoing burnout or depression, I humbly encourage you to seek help and support from people who genuinely care about you. Joel thanks for this post. I think a lot of Christians are afraid and won't always let themselves be sad...they don't know what to do with words like depression or ongoing sadness. But it's real and it exists. It's not easy to deal with but some way we have to... And I think Christ is okay with that and he is always there to meet us in the midst of it.